Look, I'll be honest here for a minute, this whole business is kind of confusing. I spent the better part of the morning debating with our managing editor, Nick Puleo, about whether or not this announcement applied to just the PvP Battle Royale mode (as everything out there is talking about that), or if it also included the co-op Save the World. Fortunately, Nick Chester - PR at Epic and different Nick altogether - clarified that the cross-play and cross-progression (more on that in a second) applies to both modes, thereby saving Nick (Puleo) and I from having to fight to the death to settle things. So, what does this mean? If you play Save the World on the Xbox One and want to play with your PC/Mac friends, then you'll need to download the Epic Launcher onto a PC or Mac and add all those buddies to your Epic friends lists (and vice versa). Then, fire up Save the World on your Xbox One and wait for your PC/Mac friend to invite you to their game. You then join in and play as you normally would with any of your Xbox One friends. This is the same process that players on the PlayStation 4 have had to go through for the past few months if they wanted to play with their PC/Mac friends. HOWEVER! It is absolutely worth noting/stating that PS4 and Xbox One players cannot play together. Full stop. If you own a PS4, your buddy owns an Xbox One, and your other buddy plays on PC, then your PC friend can only play Save the World with one of you at a time. They cannot invite you both into the same match as that would lead to things like dogs and cats living together and Sony does not want that to happen! Alright, so with all of that stuff settled, the one last bit to talk about here is the cross-progression . 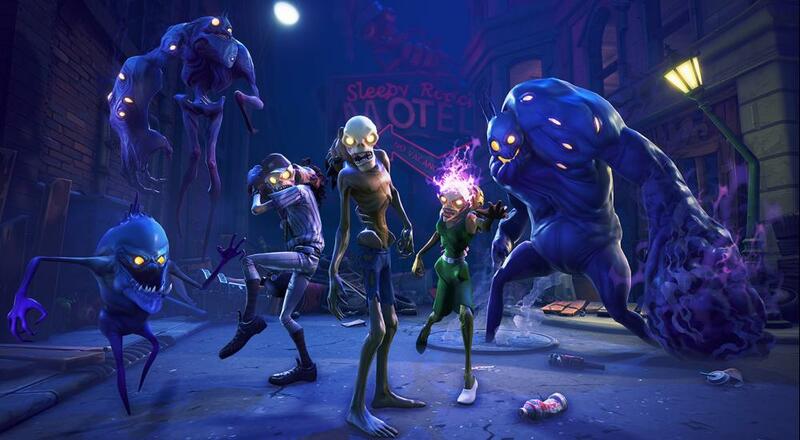 Once this cross-play/cross-progression stuff goes live (it hasn't yet), if you've been playing Save the World for months on the Xbox One, but want to try it out on PC/Mac, then you won't have to buy the "Founder's Pack" or get those weapons, characters, and other stuff again (which is currently the only option). Instead, you'll log into the Epic website using your Xbox Live account and then register an Epic account. If you already have an Epic account setup, then there may be some loss of progression in which case you'll have to email the Epic support team to get that restored. No word has been given as to when this functionality will be implemented on the Xbox One. The big news for Fortnite today is that sign-ups for the mobile version of the Battle Royale mode are now live, for players interested in that. Hopefully the integration of these different systems will all go smoothly.